Monsters have feelings, too. Sometimes they're happy, sometimes they're sad, and sometimes they can be surprised. With just a bat, baby can send the little monster's roller face spinning and get to see what each feeling looks like and how it sounds. (The monster shows baby that feelings can change quickly, too) plus, your little one will love how this monster feels - his textured ribbon hair and soft, squishy arms are fun to touch. 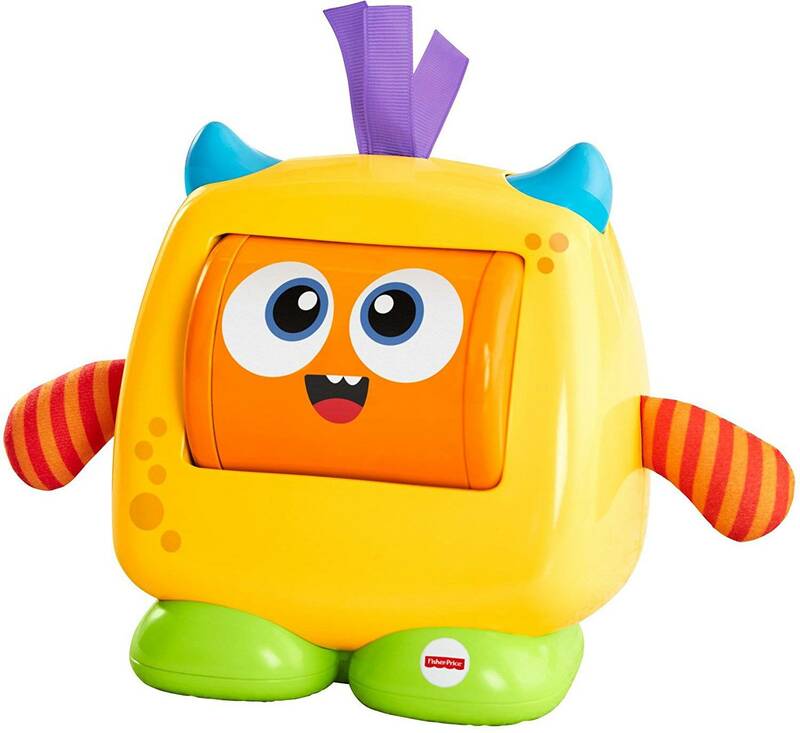 Where development comes into play sensory - this little monster is sure to excite and engage baby's senses with his bright pops of colour, fun textures and different sounds. Listening - let those feelings out. Each expression plays a sound that helps reinforce the feeling, encouraging baby to listen and respond. 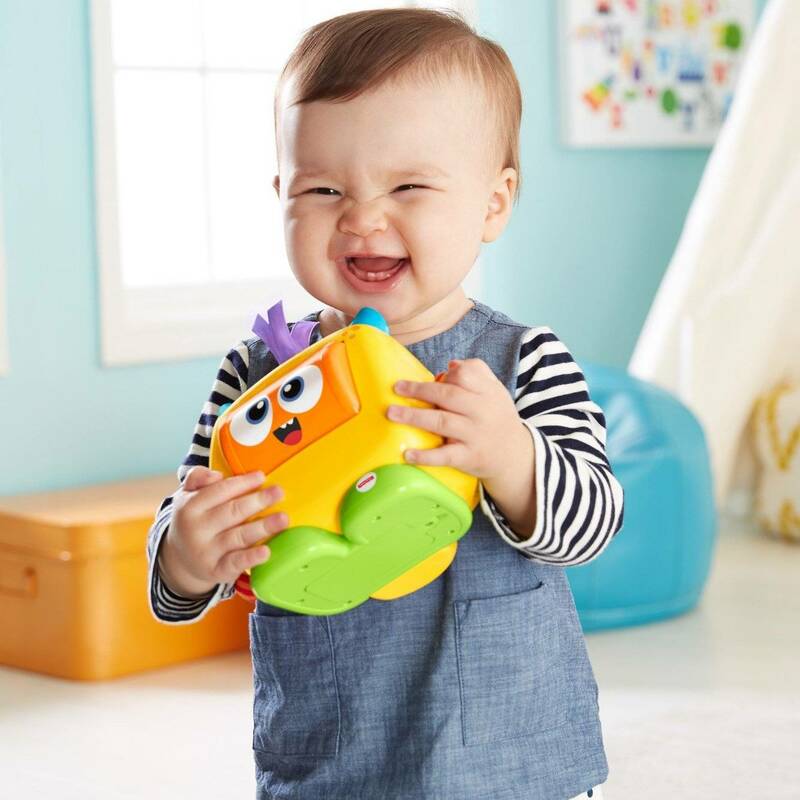 Emotions and self-expression - it should be no surprise that this sweet face (or faces) and the sounds for each emotion help teach baby about feelings.